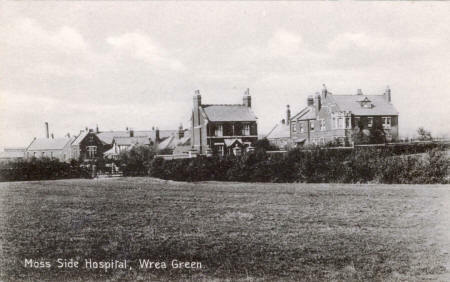 Moss Side Hospital near Wrea Green c1910. Also known as "Fylde Joint Isolation Hospital". Built about 1902, this was an Isolation Hospital for infectious diseases such as Typhoid Fever and Scarlet Fever. It closed in 1988.